The horrific legend of King Arthur continues to unfold. The demon known as Merlin leaves a trail of carnage and curses as he searches for the boy who would be king. Arthur wages war against those who would oppose his sovereignty. The haunted walls of Camelot are raised. And Arthur meets the woman who will become his dark queen. 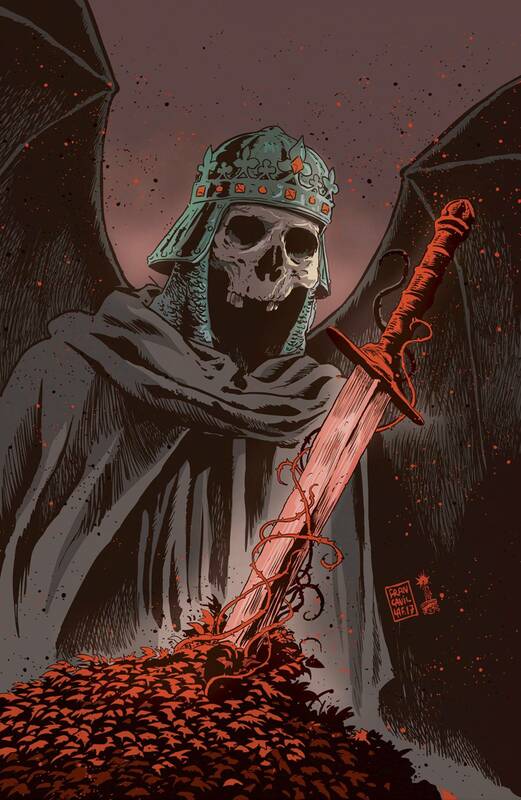 From writer Cullen Bunn (Uncanny X-Men, Deadpool) and artist Mirko Colak (Punisher) comes a Lovecraftian take on the Arthurian legend that HAD to be told at AfterShock Comics.